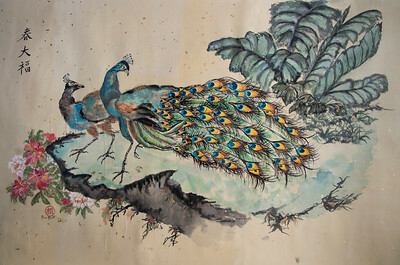 Watercolor and Sumi Ink on Rice paper painting. 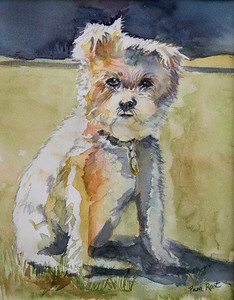 Watercolor painting of dog "Jackie" on Arches cold press paper. 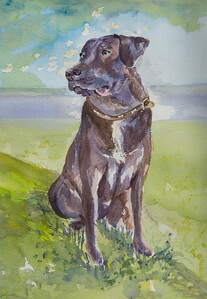 Jax looking regal on a warm sunny day. 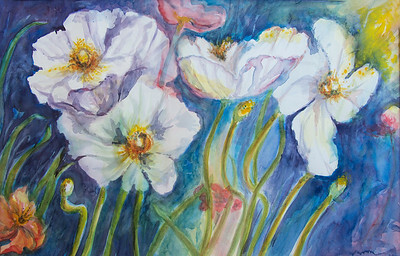 Watercolor painting an Arches 140 lb. 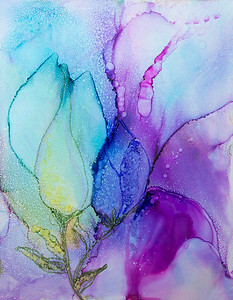 cold press paper. 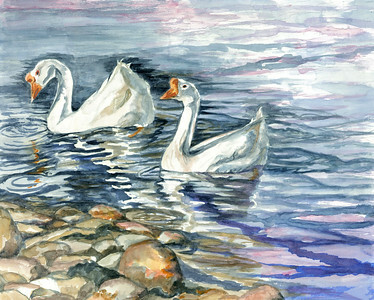 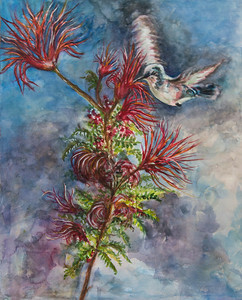 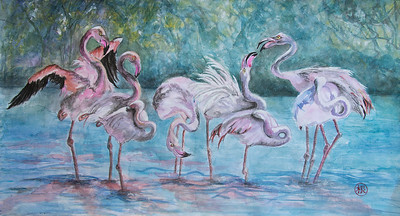 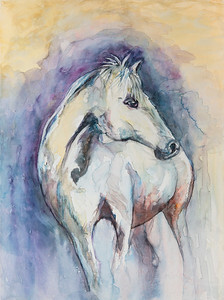 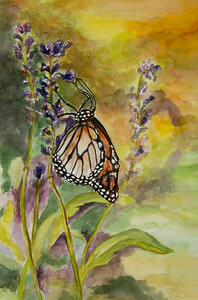 Watercolor original painting on 140 lb Cold Press paper. 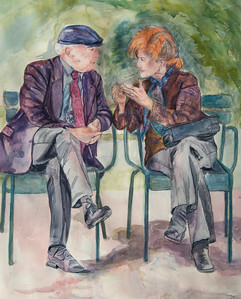 Subject of two adults having an intense conversation in a park in France. 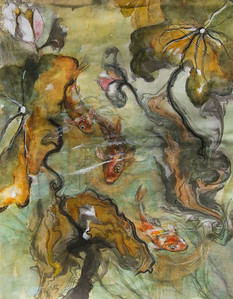 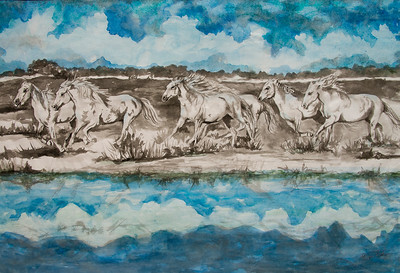 Watercolor painting with Sumi Ink on marbled ink rice paper. 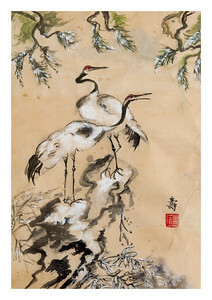 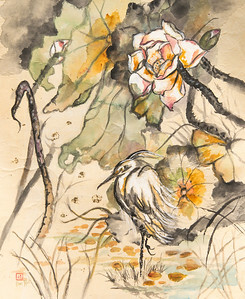 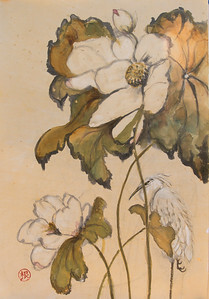 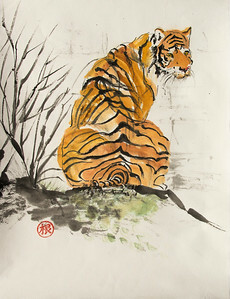 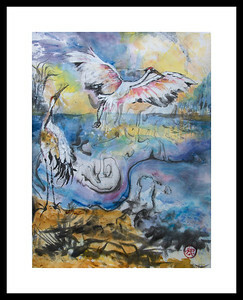 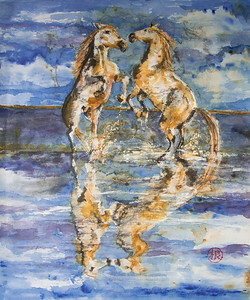 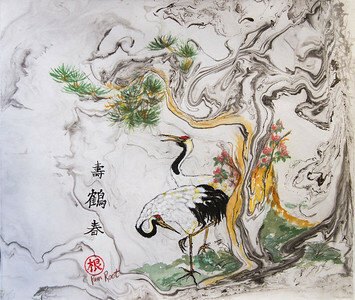 Watercolor and Sumi Ink painted on gold fleck rice paper in Chinese Style painting.